In today’s lecture we spent time exploring the last few pages of this amazing novel Fly Away Peter. Malouf’s creativity is so attuned to his characters’ inner experience that it is very hard not to be deeply moved by what his characters experience. This is the power of his creative skill, shaping sentences, phrases, images to draw the reader deeply into the inner world of his characters. Jim Saddler is presented as a person who has “Presence” and “Being”, someone who is freed from the accumulation of rubbish that afflicts us all in the revolving muddle of our thinking and feeling. Jim has a focus, a passionate interest that keeps his “Being”, his “Presence” focussed and alive. This is what Imogen Harcourt is so deeply aware of, so heartbroken about in the fact that Jim has died in battle. And yet something remains, something miraculous. This something is symbolically conveyed through the surf-board rider that the sees in the closing moments of the novel. Someone asked, how can one be free of all the mental and emotional rubbish that consumes so much of our energy. A big question with a potentially very long answers. But there is help at hand. I mentioned Thich Nhat Hanh. Here is a link to his site: http://plumvillage.org/about/thich-nhat-hanh/. There are many simple, yet powerful books by him worth exploring. There is also the newly established Christian Meditation (open to everyone- staff and students) which meets in the chapel at 1pm every Wednesday. 1/Drawing inspiration from the closing scene of Fly Away Peter describe a surfer managing a wave. 2/Do you have an appreciation of the natural world that matches Jim Saddler’s? Describe some of its elements. 3/ Why do you think Imogen Harcourt is so deeply hurt by JIm’s death. 4/ Why is David Malouf so critical of conventional education (as experienced by Ashley Crowther)? Remember you are permitted to create your own blog topics. 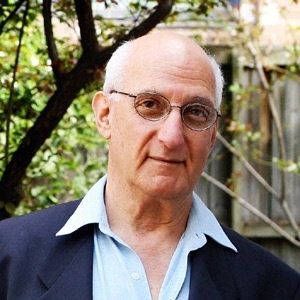 ← David Malouf- Remembering Babylon.